C.S. Lewis once wrote, "You are never too old to set a new goal, or dream a new dream." 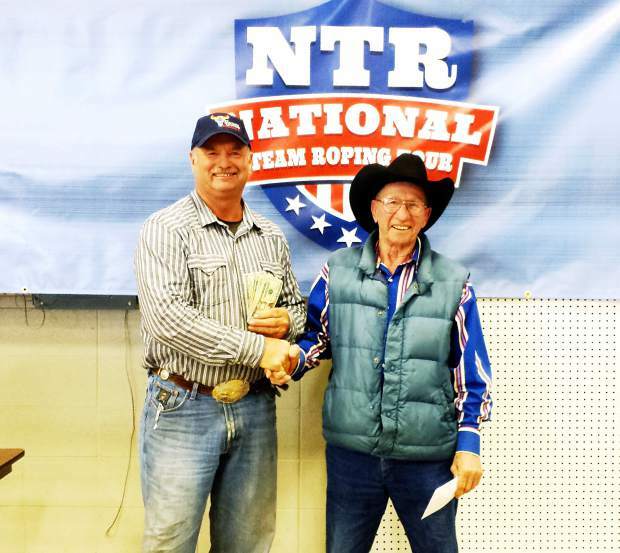 Irwin Tescher was certainly channeling that spirit at the Wyoming Bowl when he and partner Raymond Kerr roped their way to first place, a $1,000 prize, and a chance to win $100,000 at the national finals. 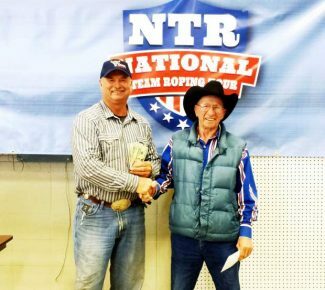 The Wyoming Bowl, held May 4-5 in Gillette, was sponsored by the National Roping Tour, formerly the NAA, which, according to their website, is, "the nation's premier amateur team roping organization." 3,000 members strong, the organization sponsors upwards of thirty-five events a year, at which more than $3 million in prize money is awarded. On competition day, Tescher and his partner came back to the short go-round, having roped their first three steers "straight up," meaning they'd succeeded in catching all the steers without penalties, and in first place with the fastest time. When the dust settled, and the remaining teams had completed their short round runs, Tescher and Kerr were in the high pressure position. They needed another perfect run to keep their lead and clinch the victory. No strangers to competition, the men went in, caught their steer, and topped the field with a time of 34.90 on 4. Tescher, 83, is a Bison resident, born and bred, and has been rodeoing since the early days of the sport here in South Dakota. "When I first started out, I was just 15 years-old, all the men were at war, so you'd get a postcard in the mail asking you to ride. Back then there weren't a lot of rules, so if they liked the way you looked, you might win." Those rodeos were comprised only of rough stock events. Roping was not introduced to the area until 1946, when some Texas immigrants settled in Perkins County and brought the sport with them. Tescher has been hooked ever since. Tescher and Kerr, plus the other top 4 teams, are now qualified to compete for a $100,000 purse in the National Roping Tour Finals, which are tentatively scheduled for March 1, 2015 in Phoenix, Ariz. "I never thought at my age I would have a chance to rope for $100,000!" said Tescher after his win.